If your child has developed a wheezing complaint, it’s very important to get the problem treated as soon as possible. Wheezing is a sighing or whistling sound as you breathe out. There can be many reasons for severe wheezing, including asthma and a common viral infection known as bronchiolitis, but there can be other causes so it is important to seek specialist medical care to ensure the correct diagnosis. 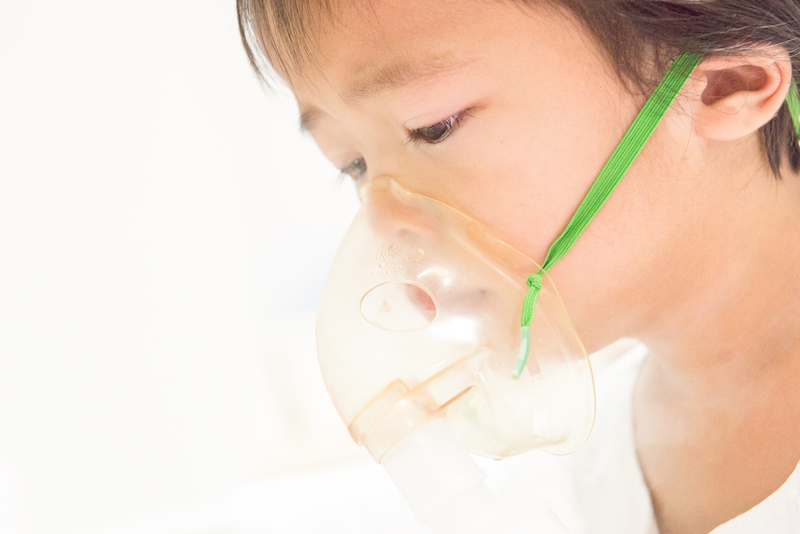 A child suffering from severe wheezing can be very scary for a parent, but in most cases it is easily treatable and will respond very quickly to the correct medical care. The most common diagnosis will be asthma – which is an ailment that causes the airways to swell and tighten. Seeing as the airways of a child are obviously smaller than an adult’s, the problem is more of a cause for worry, so the sooner they get checked out, the better. Please see the Asthma section for more information. Another condition is bronchiolitis, which is caused by a viral infection, the most common virus being respiratory syncytial virus (RSV). Affecting the bronchioles – the tiny branches of the respiratory system – the symptoms of bronchiolitis include rapid breathing, persistent coughing, and fever. Most children recover from bronchiolitis after two to three weeks and it happens to be a fairly common ailment in children. The first few days of the illness can be particularly nasty, as your child may experience a dry cough, vomiting after feeding, high temperature and understandable irritability. The chances of your child needing hospital treatment are low, although if your child has breathing difficulties, becomes exhausted, has poor feeding or has pauses in their breathing, it is important to see a doctor urgently. These can include the early onset of an allergy (usually to dust, pet hairs or even passive smoking), a chest infection or can be an early warning sign of ailments such as cystic fibrosis, or an object or piece of food being lodged in the respiratory system. It’s completely understandable and natural for parents to become very anxious when an incident of wheezing occurs in their child: the bottom line in cases such as these, as always, is to get your child checked out at the earliest possible opportunity. "My aim is to provide a world-class children's respiratory service to children and their parents"